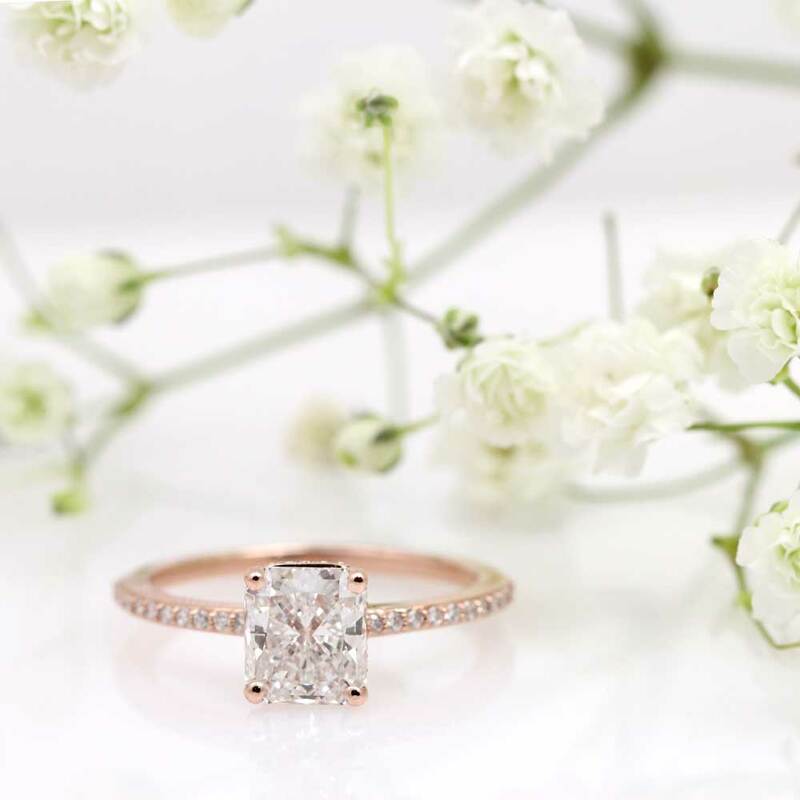 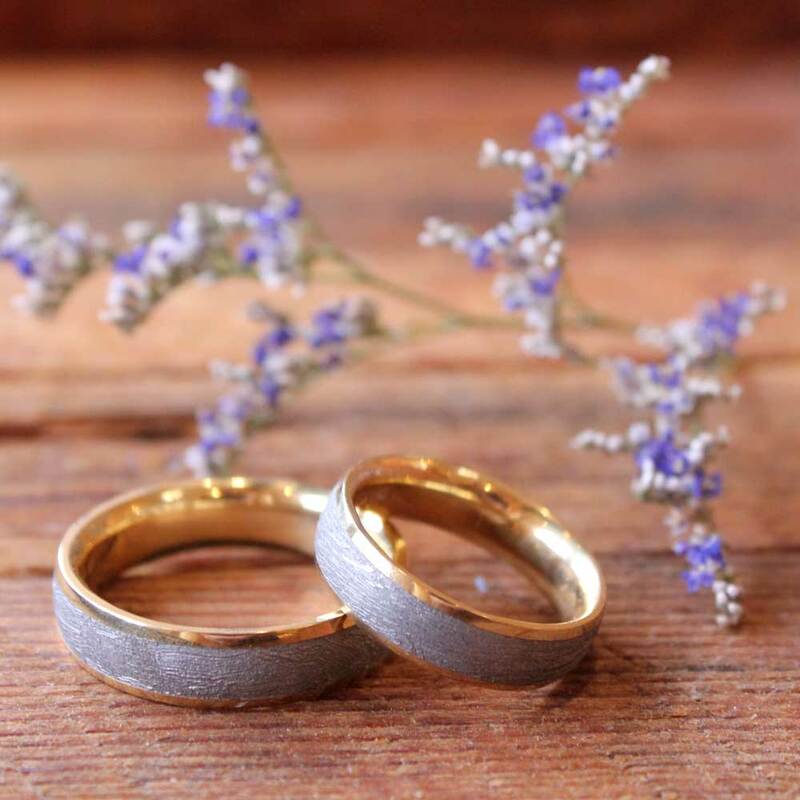 Classic wedding bands for a spring wedding! 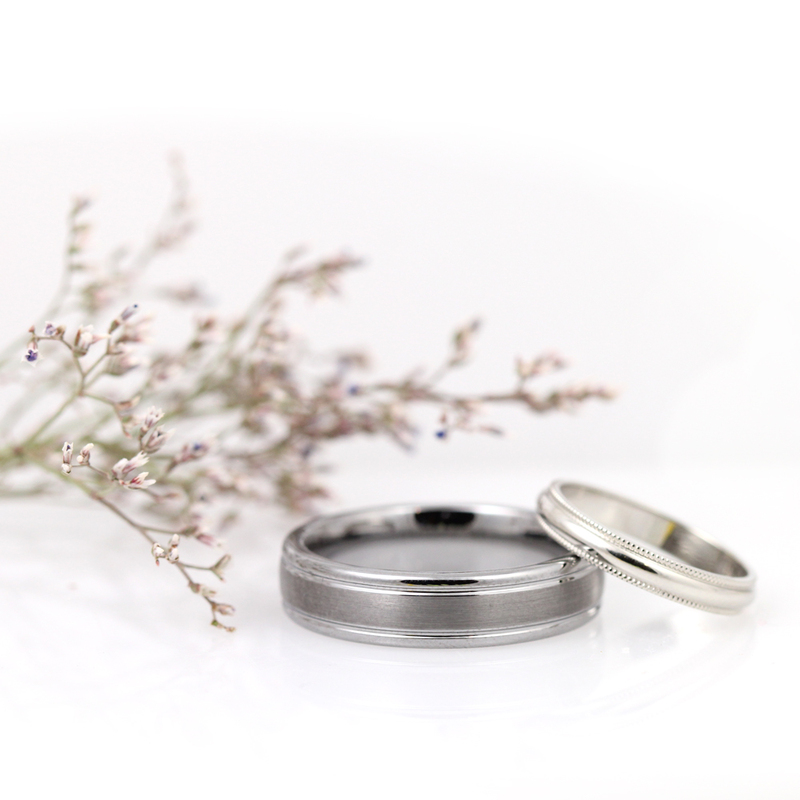 His is a flat tungsten carbide band with polished, rounded rails and a flat, satin finished center stripe. 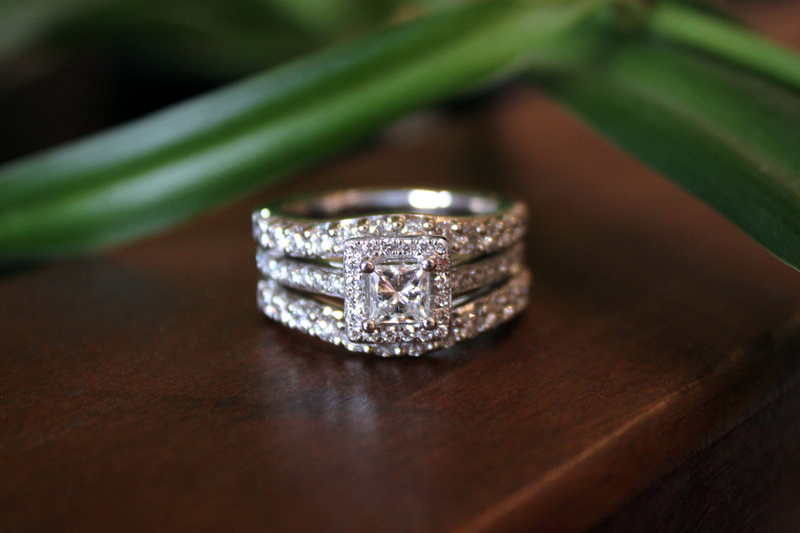 Hers is a white gold band with both edges finished in milgrain detailing. 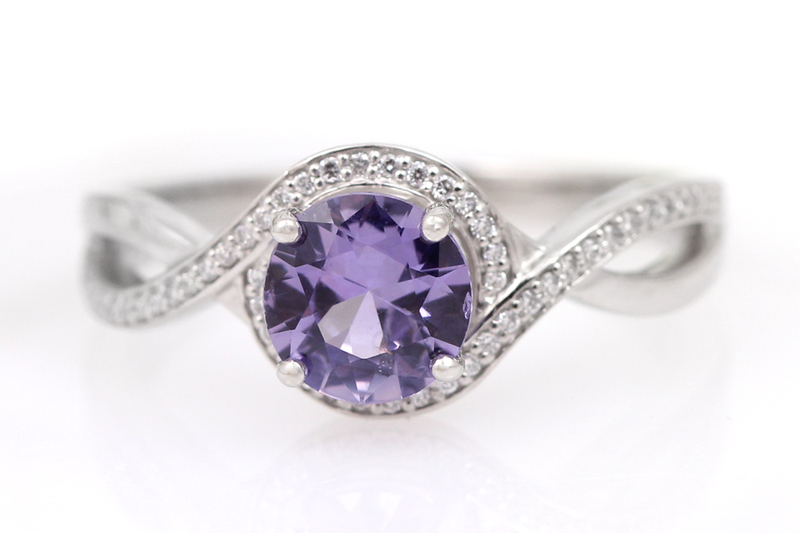 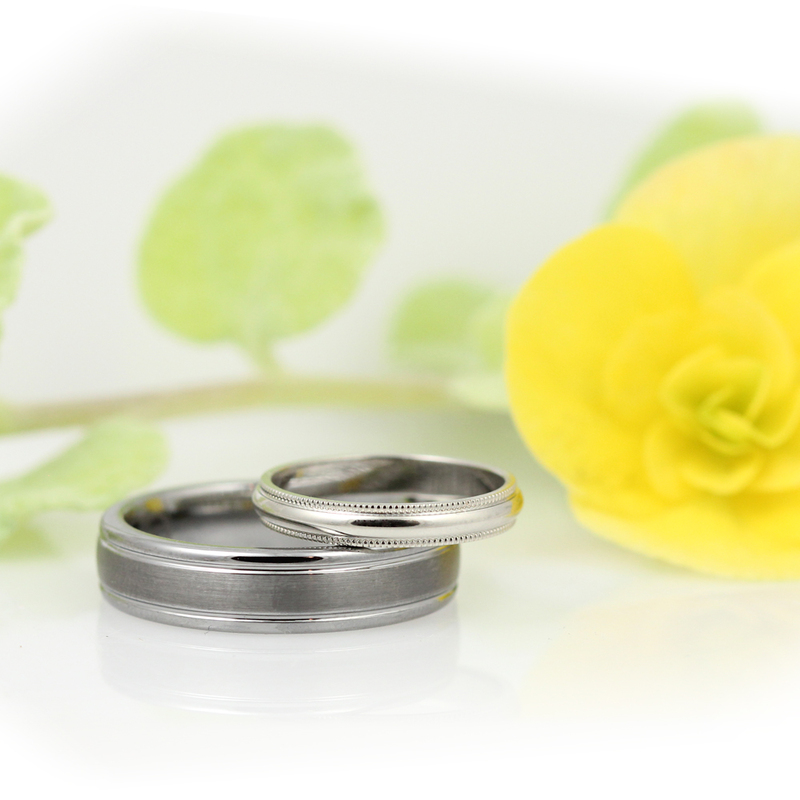 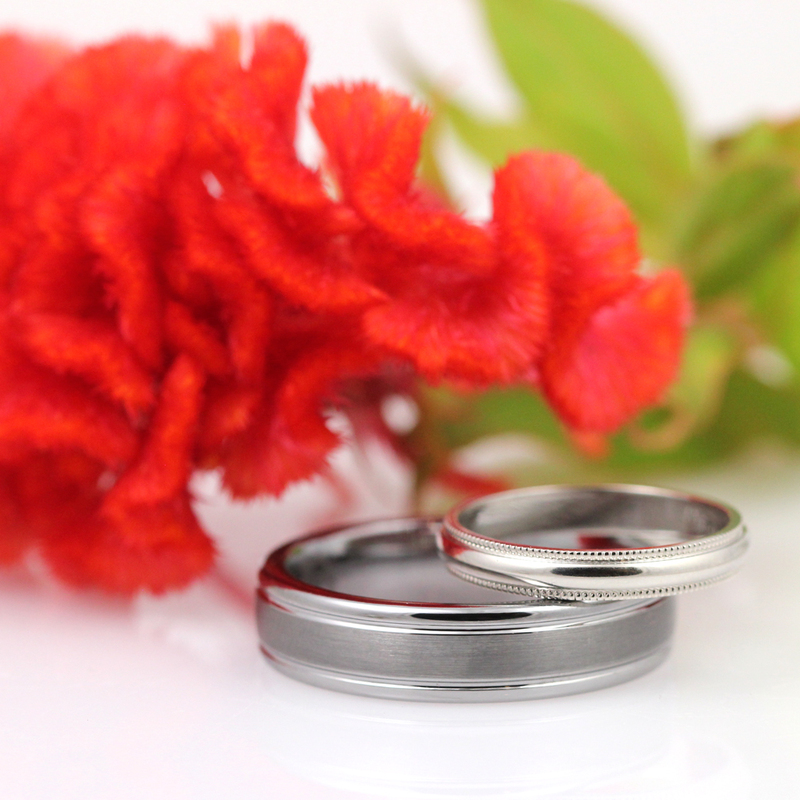 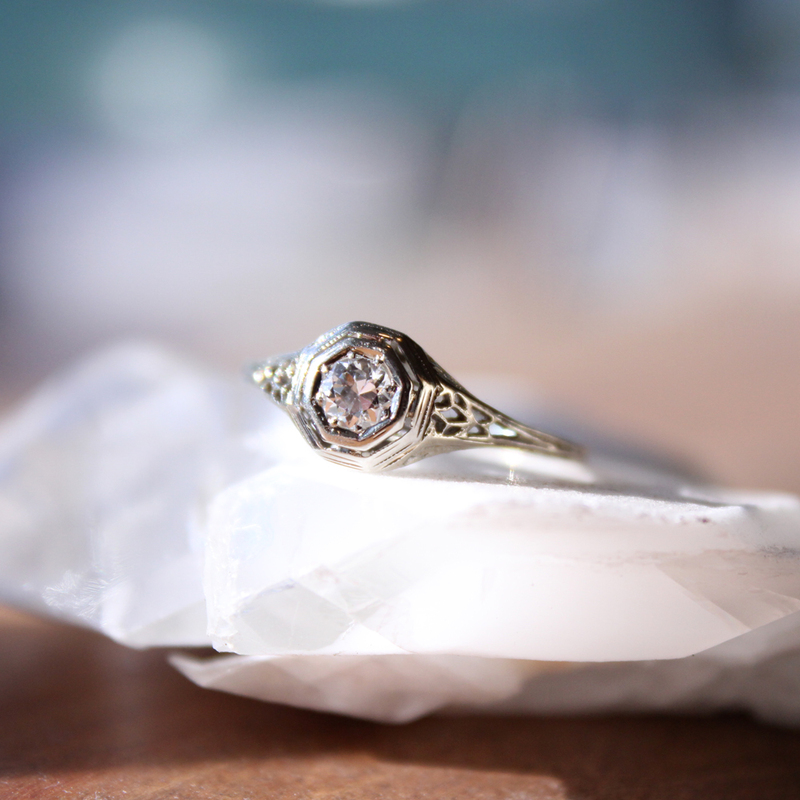 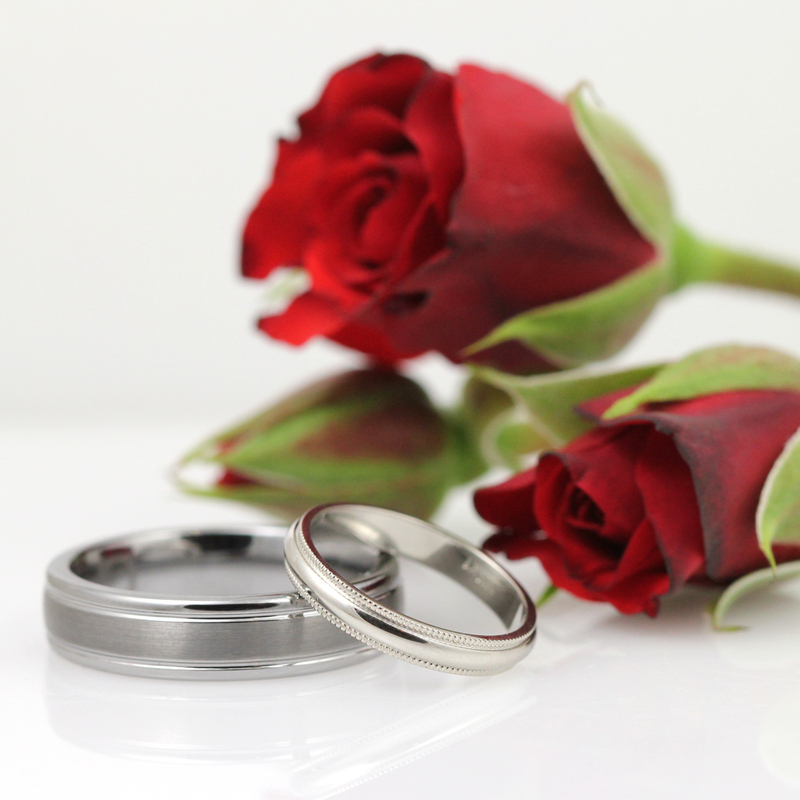 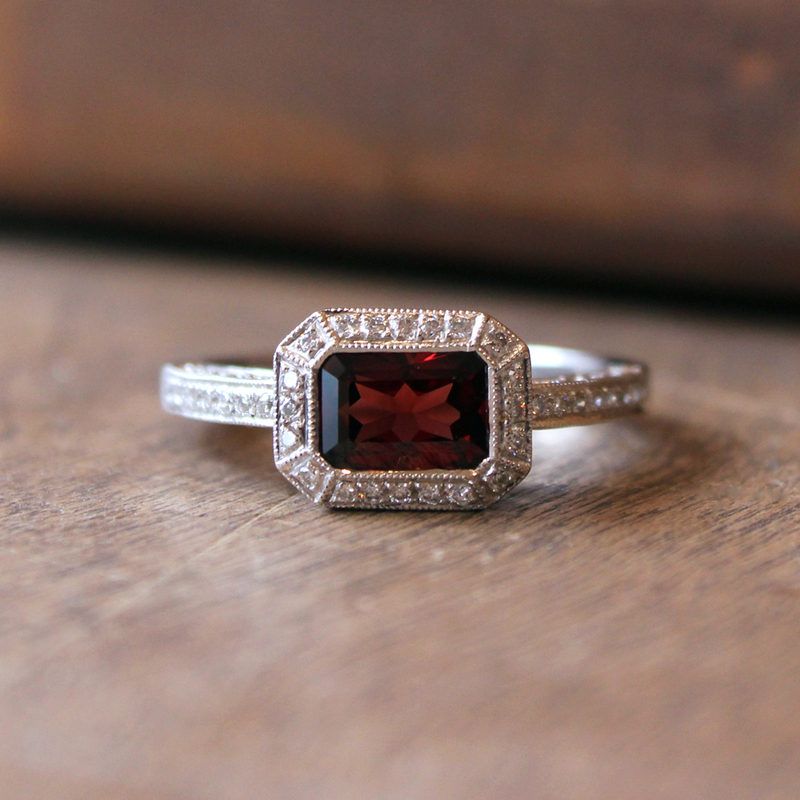 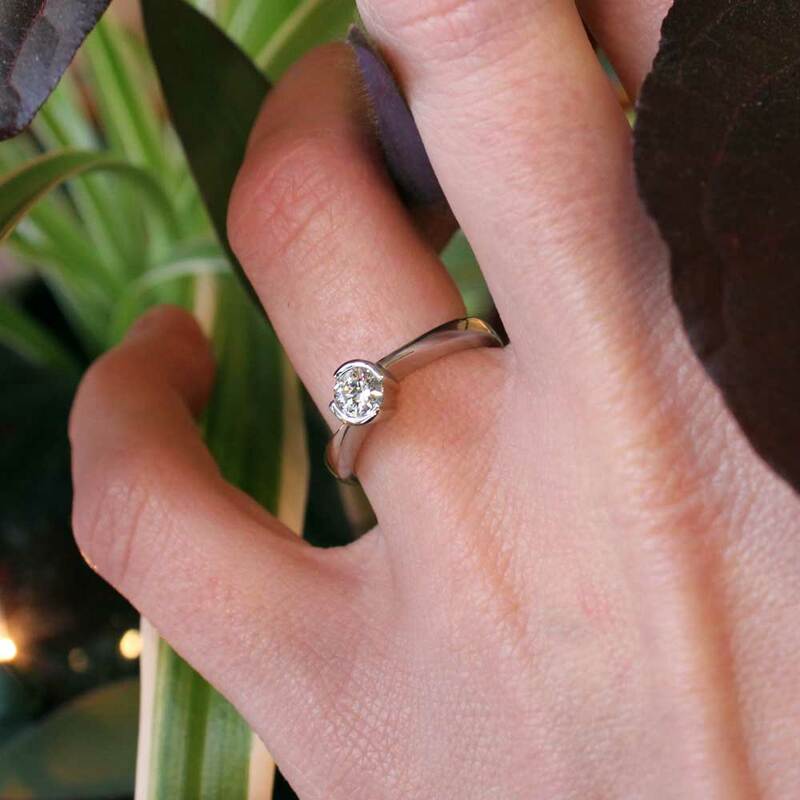 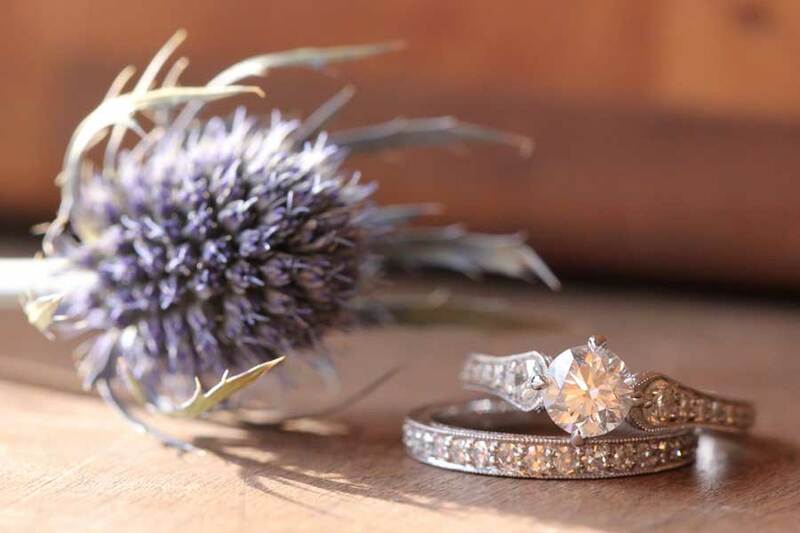 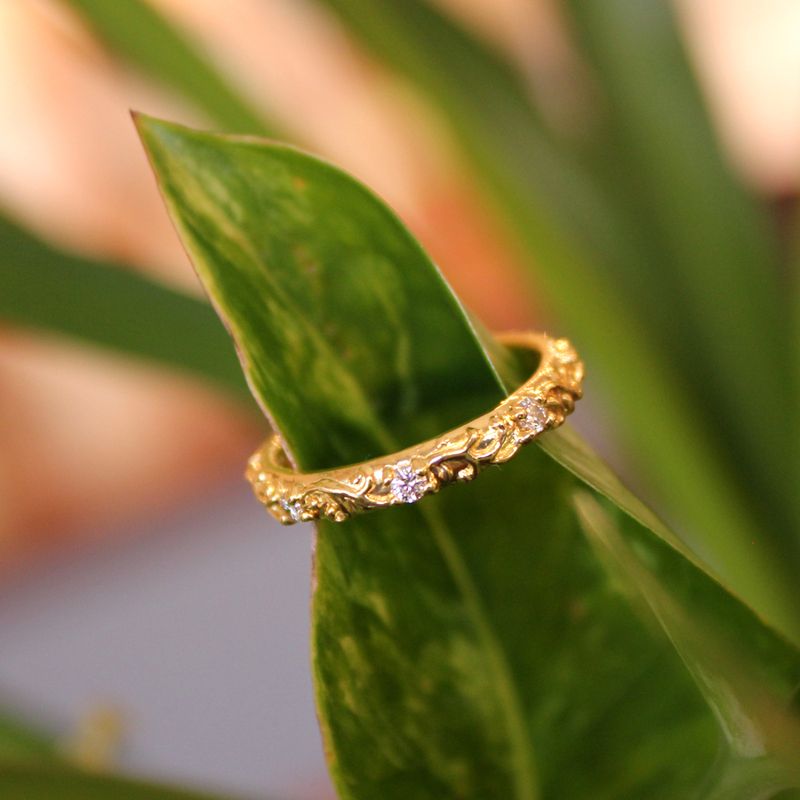 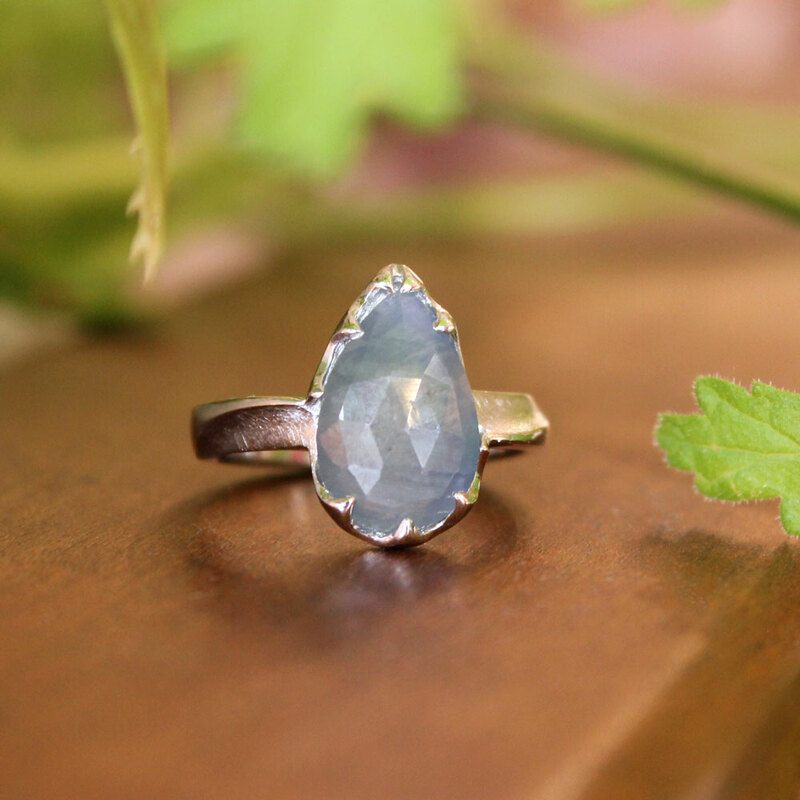 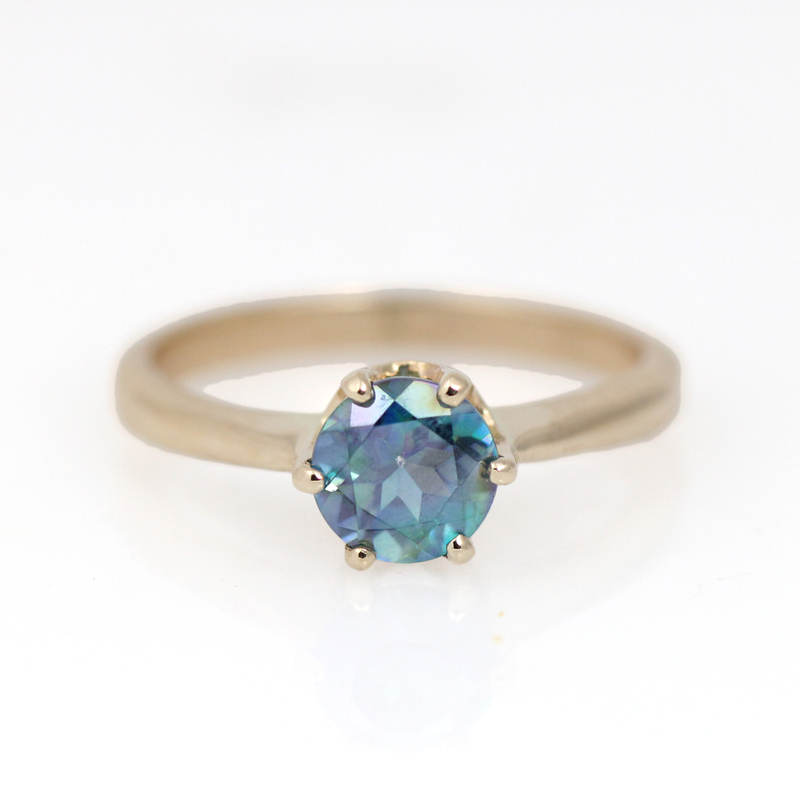 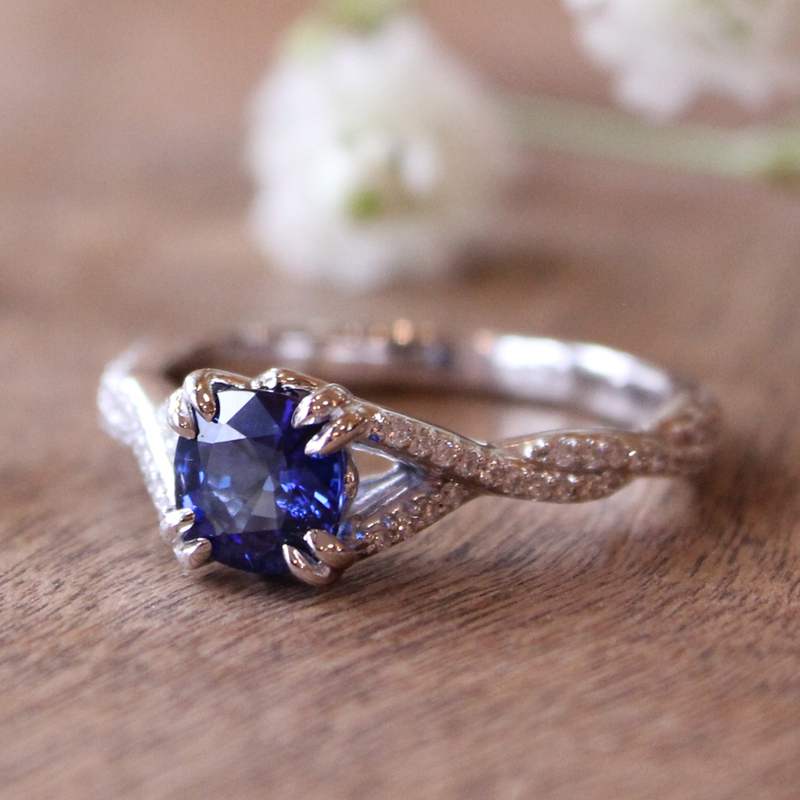 Beautiful, affordable wedding rings with timeless simplicity.